You should read my blog because I read my own blog. I reread my own posts often because they either make me laugh or help me get through something I have dealt with in the past. Be it a divorce post, running post or regular life post, I always find a word of wisdom to help me, motivate me or make me laugh. So this week, as the temperatures began to soar and the early morning sunshine became big and bright, I chose to reread my posts on summer running. I have written two really helpful posts on the subject of warm weather running. These posts help me to remember my summer running strategies so that I can easily transition my running for this time of year. I wanted to share both posts with you again today. You know, just in case you need a refresher course for this season or if you missed them completely the first time around! In this post Adjusting To Warm Weather Running, I cover how running in warm weather affects your body and ultimately your ability to run. Your pace slows and your body has to figure out how to regulate its core temp. You may notice your breathing is altered and hydration becomes even more critical. This means that how you prepare for warm weather running can make or break you! Without reciting statistics, medical journal jargon or paraphrasing someone else’s experiences, I share my strategies for adjusting to warm weather running. 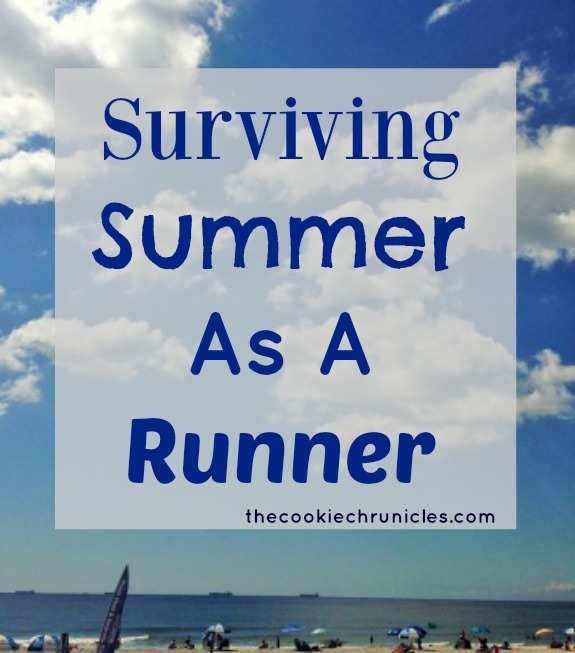 I really like this post that covers the 5 basic ways I go about Surviving Summer As A Runner. Included in this list is workout apparel, sun protection, fueling & hydration and how I care for my feet in the summer. All of these tips relate to things I do not only while I run but what I do when I am not running to make summer running more comfortable. If you are a blogger, what is your answer for the question – why should someone read your blog? Do you reread your old posts? 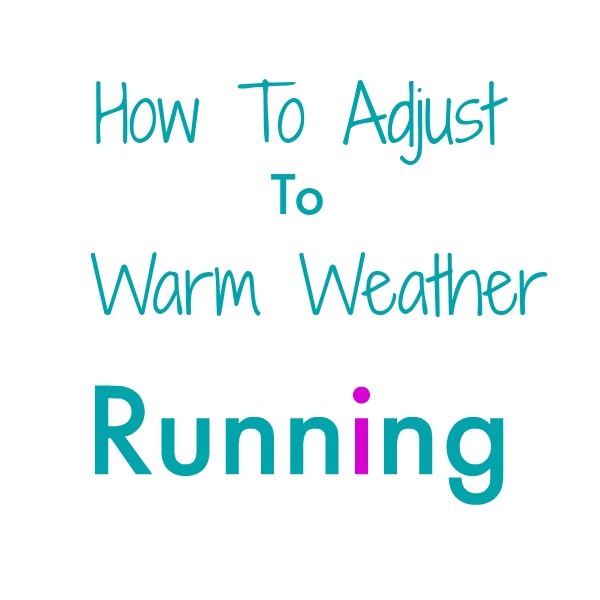 How does your body handle the adjustment to warm weather running? Does it take you a while? Ive been paying more attention to my heart rate while running to make sure I am keeping all my runs really easy. On Tuesday it was like 50 degrees and my HR was around 135…yesterday it was 72 degrees and kept getting up in the 150s! And I wasn’t even running hard! That was a wake up call for me that i am not quite ready for summer running. Ill need to stick with run-walk intervals for a little bit now that its warming up. it was really hot and humid for yesterday’s run here too! I think it’s supposed to cool down again though for a bit which is good and bad because it affects my ability to adjust. I just started a blog too and although I haven’t been asked that question yet, I think it’s very good for the writer as much as the reader to benefit from organizing thoughts, emotions and memories in a place that is designed to share. We can become alone in our lives without the chance to connect to all the people we might like–a blog is a perfect outlet to be transparent and who knows who it might help! I always say that I think I’m cold-blooded because the heat doesn’t really affect me. I’m a heavy sweater so I guess my body is just really efficient at cooling down! The only thing I need to be aware of is replacing electrolytes (mainly salt). I love the heat and I love running in it! I definitely takes me some adjustments in the warmer weather. Especially when in CT this week alone it was 40 degrees on day then 90 degrees the next! My answer today was to do yoga instead, I ran yesterday and couldn’t stop sweating afterwards, not ready for summer yet! OMG it was so hot out there today! I felt it much more today than yesterday. My body does not handle running in the heat well, so part of the solution was moving to where summers aren’t hot! Okay, that wasn’t the main reason we moved, but it certainly does help. 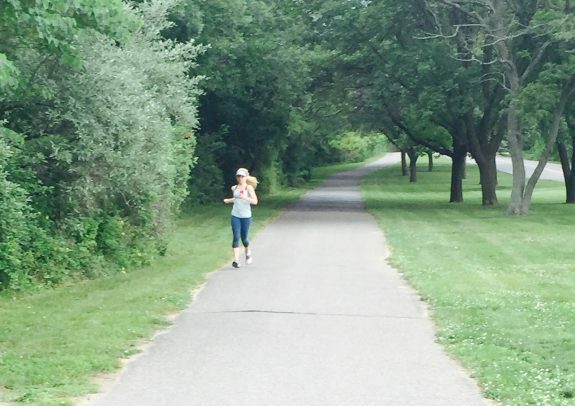 I still struggle though as I adapt to the cooler climate – suddenly 65 degrees can feel really hot for running. I focus on effort and keeping it easy, and I just don’t let myself look at my watch on my run. And then I found that I do best training for a late fall race and spring races, and taking summer as my off-season. wow that’s a really good answer. I think I would say something similar about my blog. I would read my blog because I often write things that I need to hear myself especially on different days when I’m struggling with the topics I’ve written about before. I have gleaned a lot from your blog, especially regarding food freedom and amenorrhea!